Fluids, Filters, Preventive Maintenance, Etc. 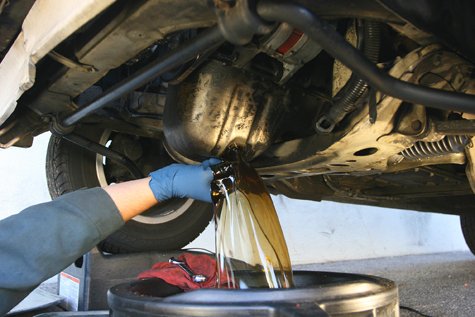 Preventive Maintenance is a vital part of keeping your vehicle in top condition and extending the life of the vehicle. Lack of maintenance will always end up costing you more money down the road due to parts failures. In fact, the leading cause of vehicle fires according to FEMA is mechanical failure and malfunction. This is why it is so important to follow your maintenance schedule provided in your owners manual accurately and on time. Many people go to fast lube places for cheap prices and quickness. Did you know that no one at these shops needs any experience or certifications to do this? Did you also know they make commission off everything they sell to you and are pressured into keeping a high sales average? This is why they pressure you into buying all sorts of things you may not really need! Our technicians are professional technicians with over one hundred combined years of experience as well as intense certifications and education in the automobile service. We can guarantee it gets done right and professionally. We care about our customers and the operation of their vehicle.